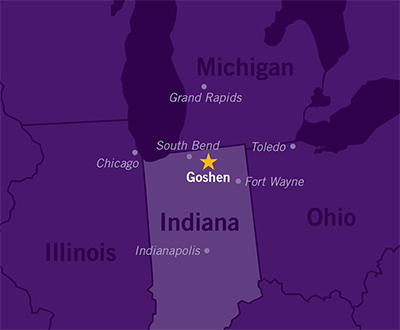 Goshen College’s 135-acre campus — filled with trees, squirrels and bikes — is located just off the Elkhart River in Goshen, Indiana (pop. 30,000), near the Indiana-Michigan state line. 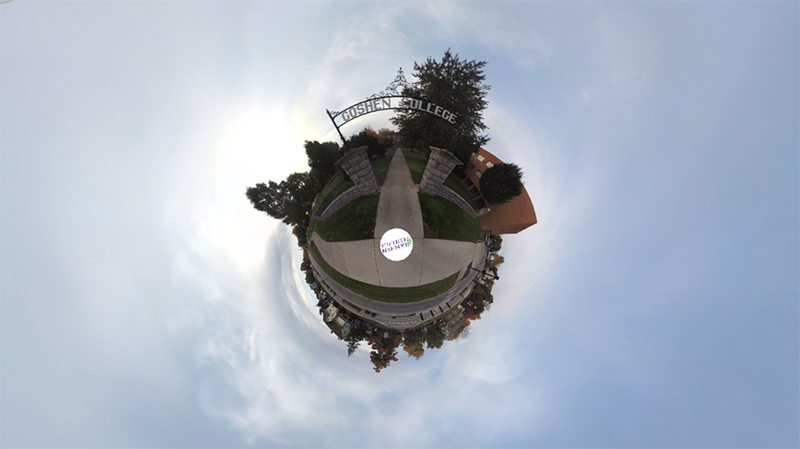 The campus features a world-class Music Center and a Rec-Fitness Center for 13 intercollegiate athletic teams. The extended campus includes the 1,189-acre Merry Lea Environmental Learning Center near Wolf Lake, Ind., and a marine biology lab in the Florida Keys. Open interactive campus map or view nearby metro areas below.